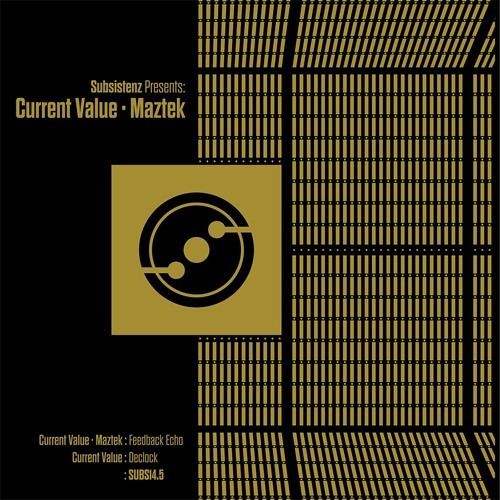 News that Current Value would be dropping an EP on Doc Scott’s much revered 31 Recordings imprint came as something of a surprise. 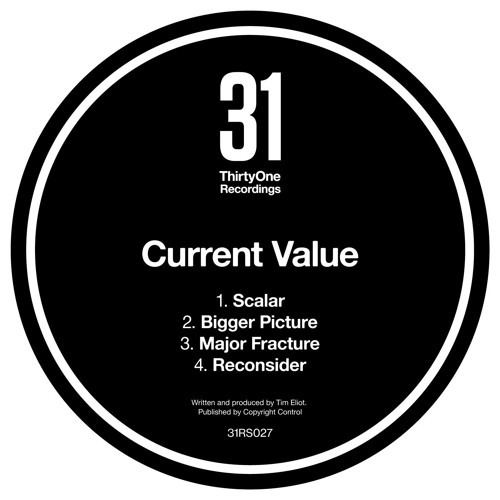 For all that 31 has showcased dancefloor tunes over the years as well as deeper fare, they’ve certainly never been known for the abrasive, hyper-technical sounds which have characterised most of Mr Value’s recent output. Perhaps it is to be expected then that the Scalar EP sees Current Value showcasing his softer side, though that’s not to say he’s betrayed his roots and put out an EP of liquid groovers. The tracks on show here almost sound like CV remixes of deep rollers; the trademark precision percussion is there, and there’s certainly some bassline grit, but there are also lush pads, and a general air of reservation. If the average Current Value tune is up at 11 on the energy scale, these ones weigh in more in the 6-7 range. 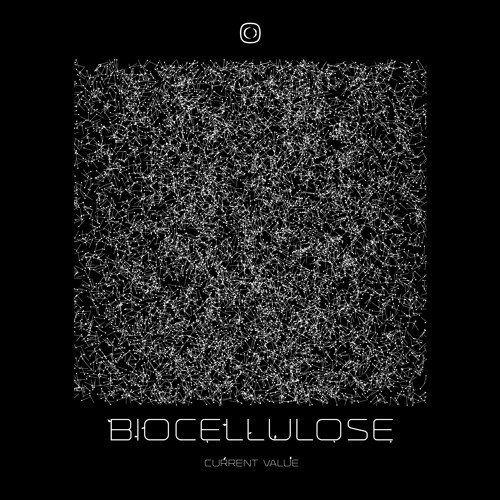 The resulting aesthetic makes for some of the most interesting material the German producer has come out with in recent times, with more emphasis on contrasting sonic elements and interesting grooves. The atmospherics in particular are top notch, particularly on EP highlights Bigger Picture and Reconsider. 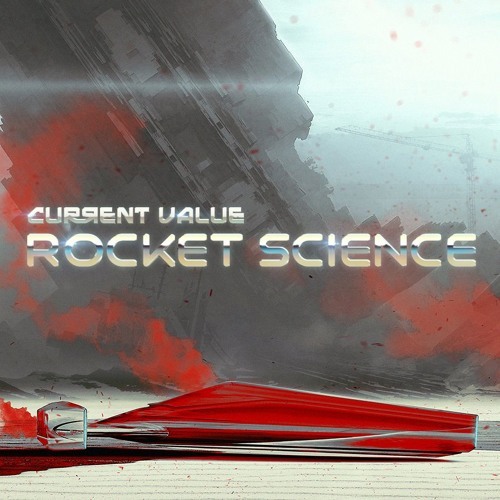 Here’s hoping Current Value decides to give us more of these delicate compositions in future! The Scalar EP drops May 5th; hit up the 31 Store to grab it on vinyl or digital. 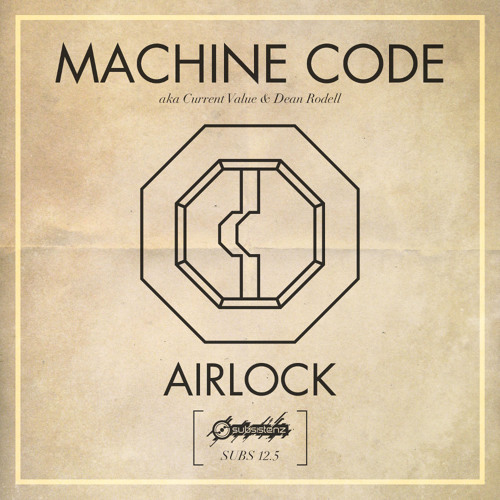 MachineCode (aka Current Value & Subsistenz boss Dean Rodell) are back with another EP of tough edged, technoid D&B blending the groove of hard techno with the savage bass of neurofunk. The tracks on show here are all pretty belting but the rapid fire stabs and intense build up of Forward Gravity mark it out as the Dojo favourite. Check the clips below and grab this one from all good stores now! 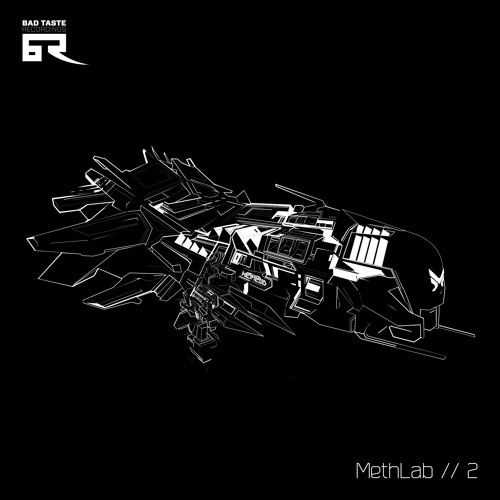 Those who like their Drum & Bass hard and nasty should already be familiar with Current Value; the German producer has been belting out rugged Hardstep for the likes of Position Chrome, Evol Intent Recordings, Barcode, Offkey and Tech Freak since the late 90s and shows no sign of slowing down! Most recently he’s gained some exposure for his excellent remixes of Noisia’s Soul Purge and various tunes from Bjork’s Biophilia project, not to mention his collaborations with Dean Rodell as Machinecode. His seventh LP release for Berlin based Subsitenz sees him dialling the aggression back ever so slightly compared to some of his more brutal releases, but make no mistake, the album still has more than enough edge. Highlights include the savage modulated tearout bass of The Arrival, the robotic technoid of Weirdo and the mutant drumstep of the titular Stay On This Planet. If ever evidence was needed that hard D&B can still have plenty of depth and variety, this album provides it in ample quantity. 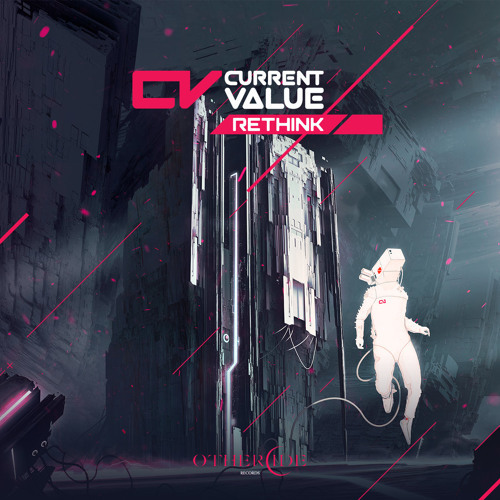 You can hear a number of tracks from the album in Current Value’s latest Subcase mix below, and the album drops on vinyl, CD and digital from September 2nd.